When our students are ready to work in the community, they are given jobs that are appropriate for them and their skill-set. However, before a “job” becomes a part of their weekly schedule, the students have pre-vocational training. Hence, the Ohr V’Daas store was created, affectionately called “RISE Buys”. The store serves two purposes. First, it serves as a pre-vocational setting for students to learn store management. 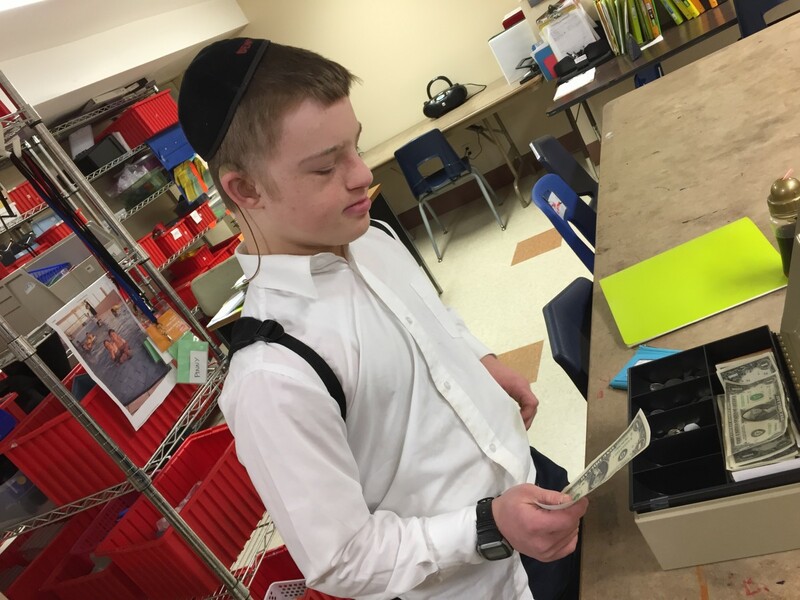 Every month, two students are assigned to be “owners” of the school store. During the week, the “owners” are taught (and then practice) store management skills by keeping inventory, making orders, stocking shelves, and using a price tag-gun to label items. In addition, they learn and practice salesmanship, customer service and how to use a cash box and count change. Every Friday, they become clerks and run the school store for the students, aka shoppers. Which is the second important feature that this store encompasses. RISE Buys unites the classes under one umbrella-like behavioral plan which is being administered in all the classrooms. 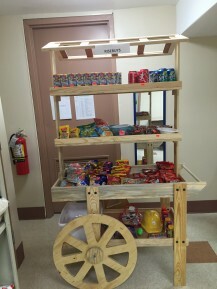 Each classroom has its own individual reward system in place, then it’s unified under “The Store”. Throughout the week, students receive coins and dollar bills for good behavior, hard work, following directions, etc. and then they spend the money on their Friday shopping. This brilliant idea has motivated students to work hard for their well-earned money and they spend all week discussing what they will buy on Friday. Will it be soda? Juice? Snacks? Candy? Or will it be toys? Hand weights? Jump ropes? Stress balls? Books? Or mock- jewelry? The kids absolutely love the store and this one little “shop” has brought a lot of joy into their lives. As it is, just last week, a student had a Doctors appointment on a Friday but absolutely refused to miss school because he did not want to miss his opportunity shopping at the store!